I travel a lot but there’s something about going home that has a tendency to take me off track. Since I’m heading to the airport this morning, I figured I’d share how I’m setting myself up for success. When packing for work trips I’m always boring: workout stuff for 90% of my nights gone, work outfits that can reuse parts of each day (I reuse skirts a lot, no one has ever mentioned it), and I choose one color scheme so I only need one set of work shoes. 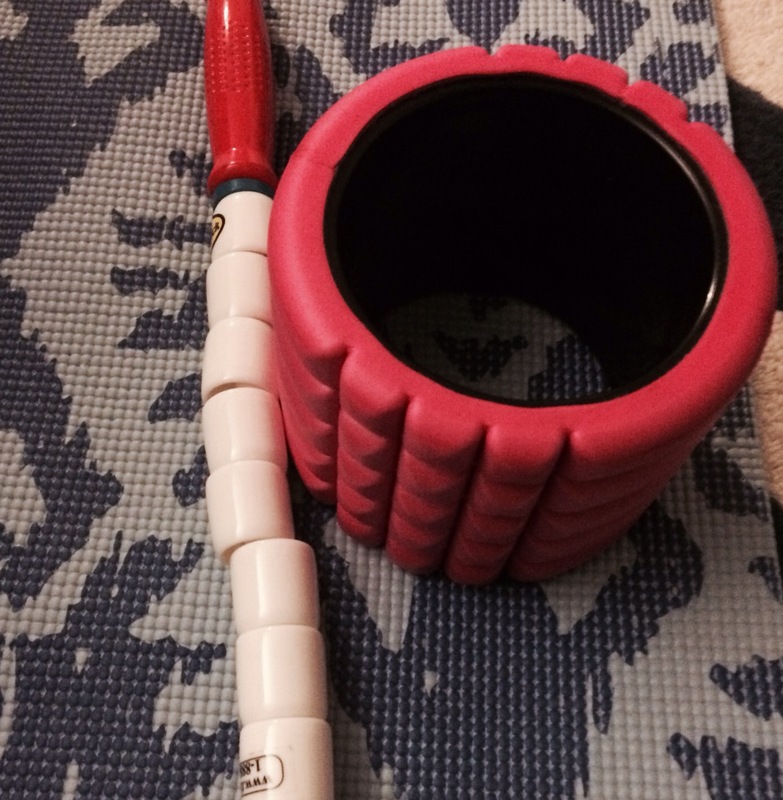 – Mini foam roller & The Stick. I know I sleep terribly at my mom’s so in addition to being sore from the workouts I’m forcing myself to do, I know I’ll need some relief. 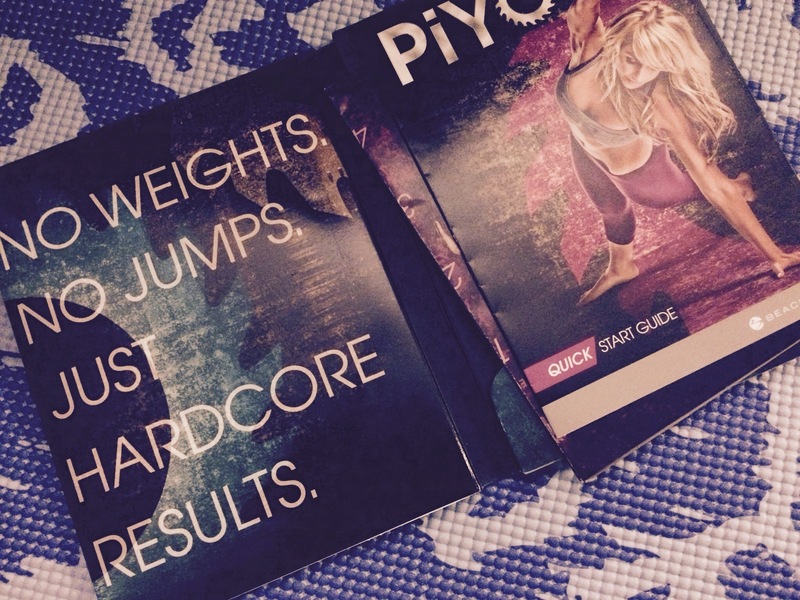 – PiYo DVDs. All I need is a DVD player, a TV and some space. My plan is to get them done EARLY so I have no excuses. I also know it will be a huge source of stress relief. Yay! 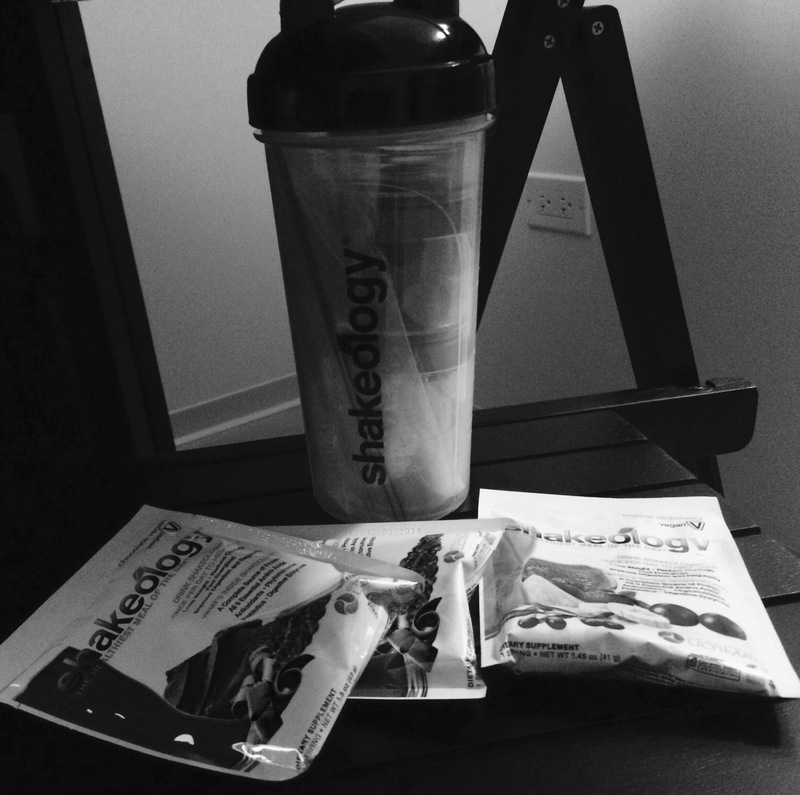 – Shakeology. I ordered an extra package of vegan Shakeoogy packets that arrived at my Mom’s last week, and I have a few packets that will go in my carry on for the trip East. It will keep me on track and fuel my body after my workouts. – Prepare for anything. It’s supposed to be unusually warm in Maine this week (rainy and 50 on Christmas?!) so I’m packing gear to run outside. It’s not often I get the chance to run in weather like that when I’m home for Christmas. I’d kind of like to give it a go. – Pack your Courage. Be ready with your “why” when your family questioned why you’re heading out for a run or walk, or why you’re taking over the living room. And be wiling to step out of your comfort zone. I’m excited to join a killer spin boot camp class by my old cheering coach at my old high school on the morning of Christmas Eve. These people do this almost every day together, and I know I’m the oddball. But I’m excited to do something different that will make me sweat and smile! Get out there and find s crazy class in your neighborhood, and do a drop in. – Stop Along the Way. My mom is used to me showing up with presents, and bags of groceries. I always stop to get a few things that I know she won’t have, and will help me make better choices. Hummus and carrots, soy creamer, almond milk, and apples are my go-tos. This obviously doesn’t guarantee success, but it will take me further than if I didn’t plan or pack at all. What’s your packing plan for a healthy holiday? What are the foods you bring when you go home? Who’s trying something new this holiday?